‘Clean Eating’ for me it is a lifestyle. This is a choice that people make when deciding to give their bodies the best nutritional value they deserve. Someone who chooses clean eating, completely eliminating junk food from body. This means that it does not accept any processed carbohydrates, refined foods, places filled with additional chemicals. Everything you eat should be wholesome. In today’s article you will find recipes for quick and easy clean eating recipes. 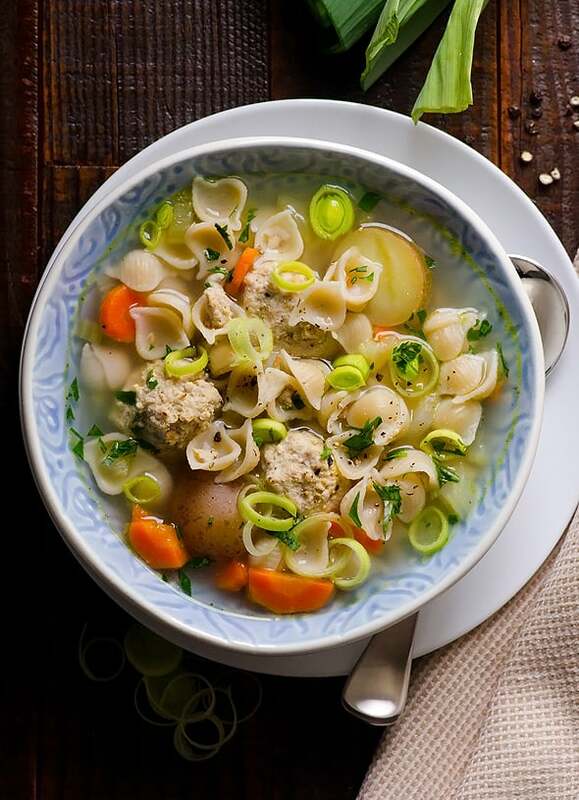 Turkey Meatball and Pasta Soup – Quick healthy soup your kids will love. Gluten free, freezer friendly and makes great leftovers. 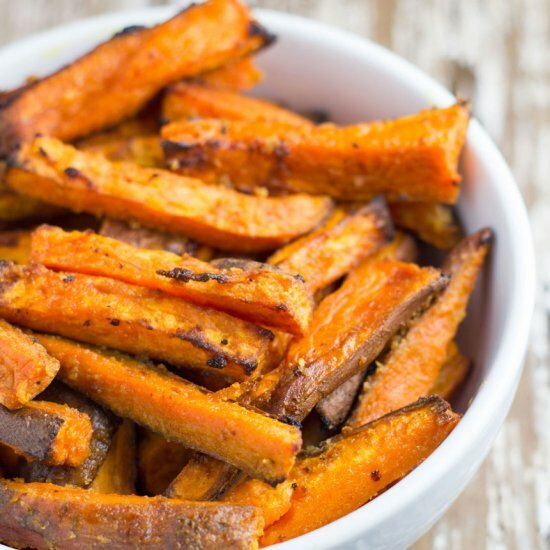 Baked Garlic Butter Sweet Potato Fries – healthy, tasty and easy to make. Sea Salt Caramel Chocolate Cups – A clean eating version of “Reese’s Cups” made with dairy-free chocolate, dates, sea salt, almond milk, and almond butter! Chicken & Cauliflower Yellow Curry – 30 minute healthy and budget friendly comfort food. Can be made vegan and it is gluten free. 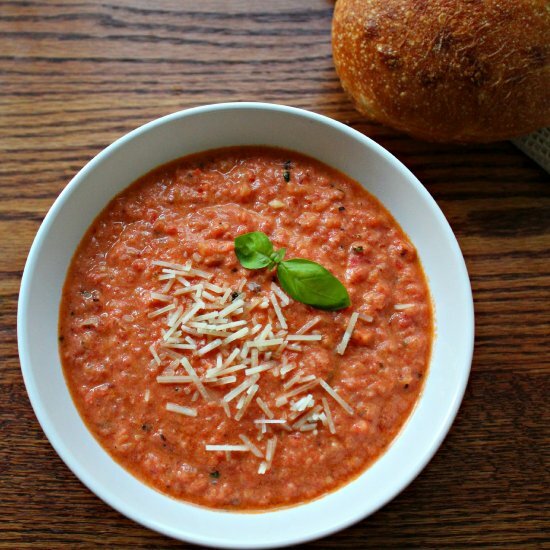 Easy & Healthy Tomato Basil Soup – This Tomato Basil Soup uses plain Greek yogurt to thicken it up instead of cream! Using fire roasted tomatoes, it’s an easy weeknight meal. Pumpkin French Toast Bake – the perfect healthy fall breakfast. 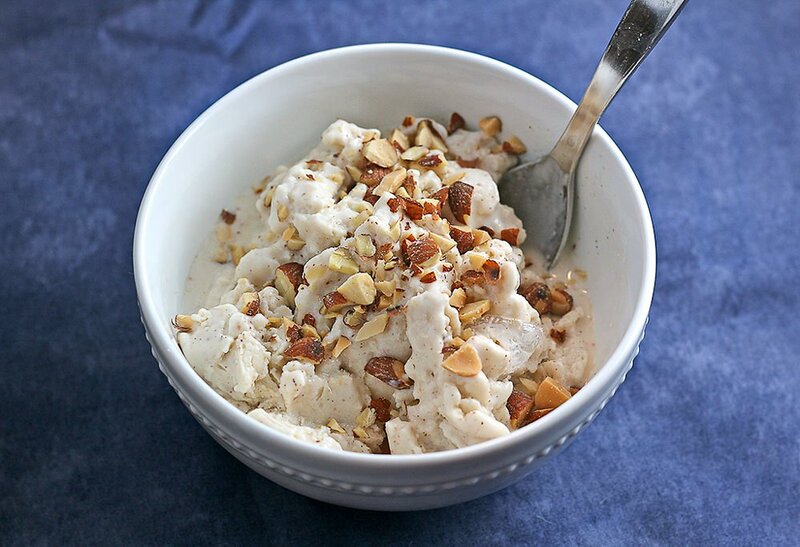 Vanilla almond ice cream with protein powder – it tastes really good, is healthy, and will satisfy a sweet tooth. 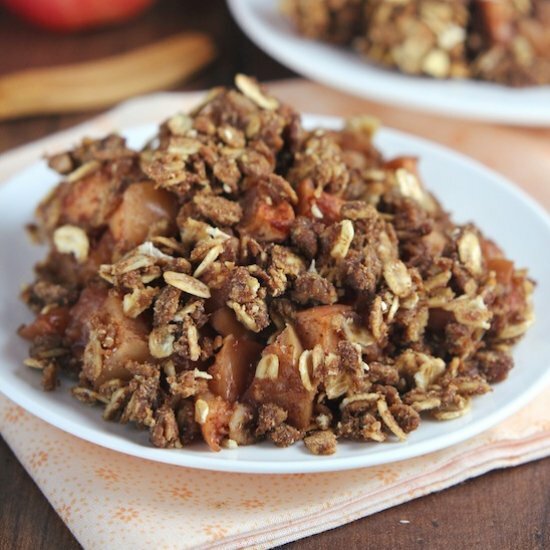 Gingerbread Apple Crumble – made in the slow cooker! So easy & it’s healthy enough for breakfast! Smoked Salmon, Egg & Avocado Quinoa Bowl – Ditch the soggy sandwiches for lunch and try this protein packed quinoa bowl guaranteed to keep you full until dinnertime. 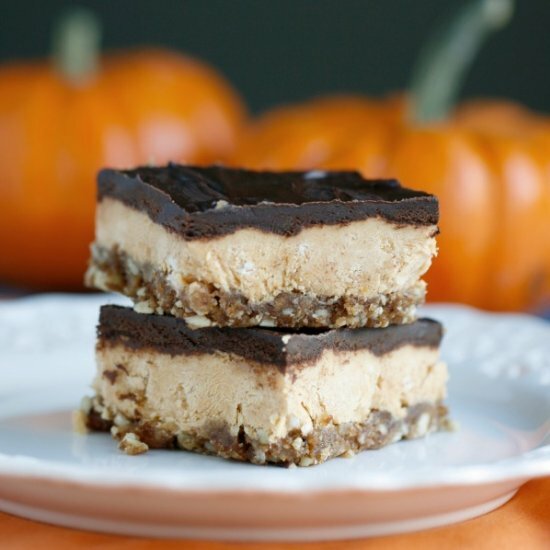 Pumpkin Creme Bars – These Clean Eating Pumpkin Creme Bars are gluten-free and can also be made dairy free and vegan. A refreshing fall treat.